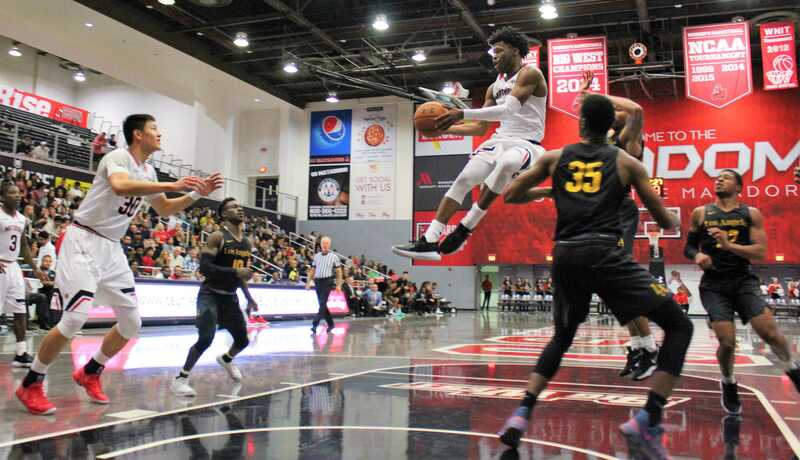 After a 6-24 season last year, the Matadors are ready for a new year and their fans have plenty to be excited about. The Matadors have a new coaching staff, eight new players and a new system. New head coach Mark Gottfried has had success everywhere he has gone from Murray State to Alabama to North Carolina State. Each of these programs has gone onto the NCAA tournament under Gottfried who has a collective 10 tournament wins. Mo Williams is a new hire as an assistant coach and is known for He also played college basketball for Gottfried at Alabama from 2001 to 2003 where he won SEC Freshman of the Year and Third-Team All-SEC. The other assistant coach hired was legendary Jim Harrick. Harrick has been coaching basketball since 1963 when he started as an assistant high school coach. In1988, Harrick got his start at UCLA where he would go on to win a National Championship and Coach of the Year in 1995. 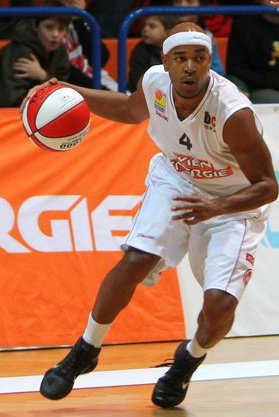 One of the eight new players is Rodney “Rocket” Henderson, a transfer student from Santago College Canyon. Henderson posted an incredible turnaround season going from a 4 points per game average in 2017 to averaging 27 in 2018. Henderson is also dealing with his transition to Division I and how he’ll fit in along with his new found role as a scorer. “This team, we have a lot of different guys that can do a lot of different things. Myself, I consider myself one of the better shooters,” Henderson said. Michael Ou is a freshman student from China who averaged 19 points, 11 rebounds and two blocks a game in his senior year of high school. Ou helped his team go 24-6 and advance to the Class 2A State Championship. 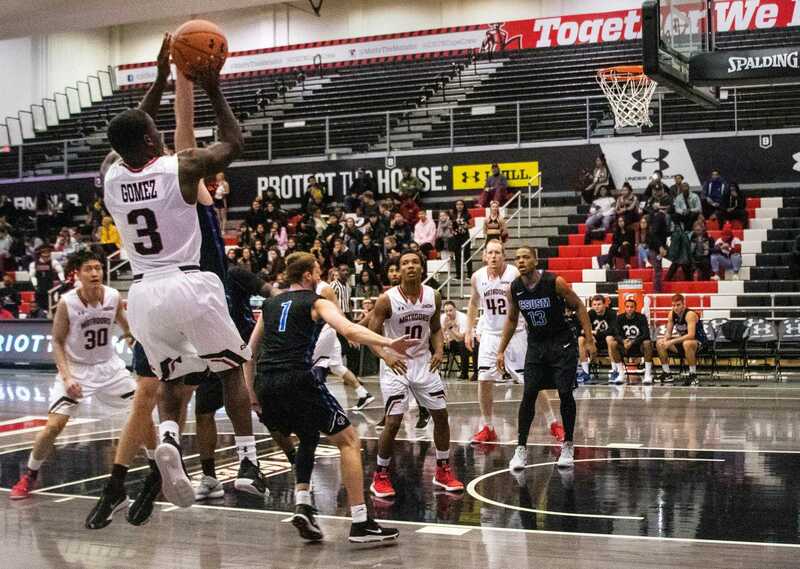 “The basketball here is better because in China the basketball is always outside but in America it’s played inside, so it’s much better, ” Ou said. Ou also talked about the future of season and his recruitment process. “The reason I came here is because is the coach is really good for me, coach Mark Gottfried and Jim Harrick and then Mo Williams those are real good coaches. They think I would be successful here,” said Ou. Cameron Gottfried is a graduate student, transfer from North Carolina State playing out his final year of college eligibility under head coach and father Mark Gottfried. Cameron’s fit on the team is different than that of Ou, or Henderson in the sense that he has done the Division I college route. He’s more focused on trying to get other players to improve and to be a mentor for the younger players. “I definitely see myself as a leader on the team and on-the-court situations. I feel like I can see things a little bit different and I’m trying to help these younger guys see that same way,” said Cameron. The team won both exhibition games downing Antelope Valley and CSLA. 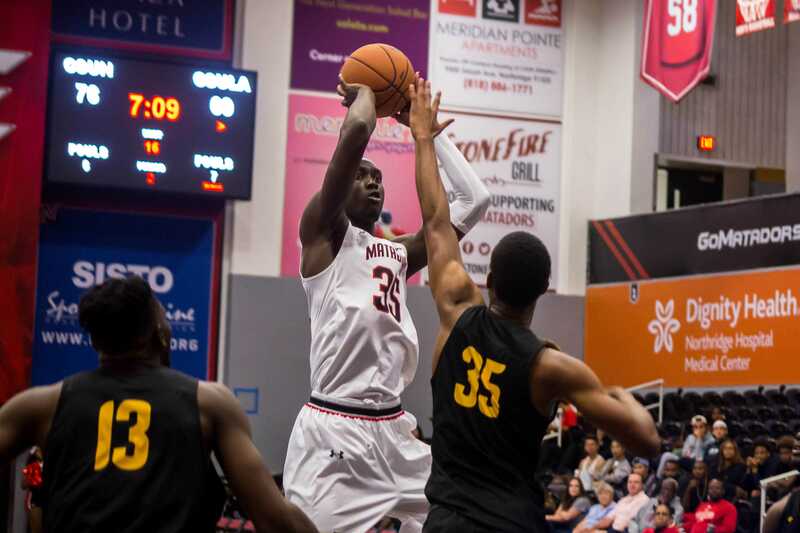 Redshirt-freshman Lamine Diane led the Matadors in both outings where poured in 30 points against AV and 23 against CSLA. The forward also came down with a combined 31 rebounds in the preseason. 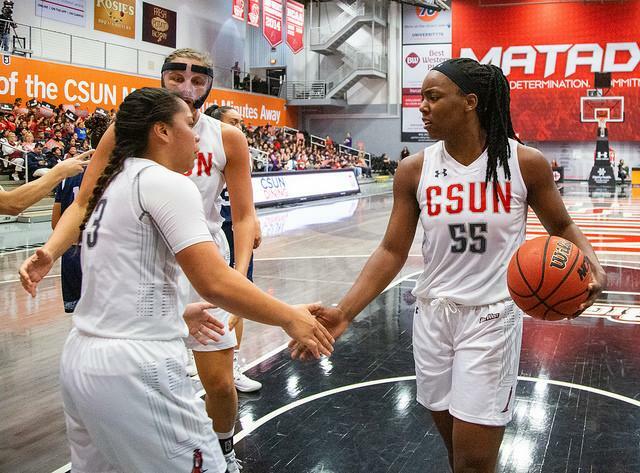 CSUN will open its season against what should be one of its toughest opponents all year. Their opponent, the New Mexico Lobos. 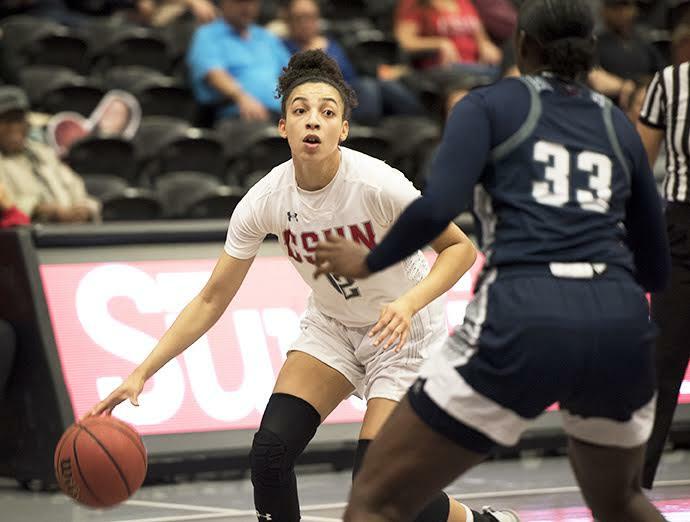 Cameron, Henderson and Ou will make their CSUN basketball debut facing New Mexico, Tuesday November 6 at 7 p.m. in the Matadome.